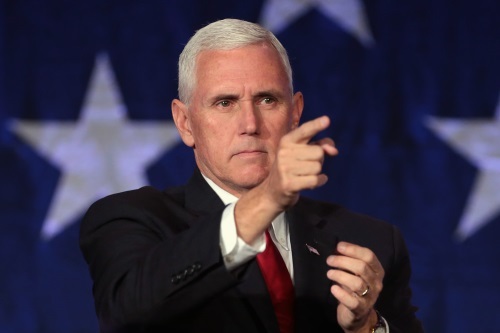 As part of a daylong “cybersecurity summit” held by the U.S. Department of Homeland Security on July 31 in New York City, Vice President Mike Pence stressed in a speech that “America’s digital infrastructure is under constant cyberattack” and that “our digital foes are targeting every facet of our society,” including the nation’s energy and transportation infrastructure. He noted that cyber attackers also go after municipal governments, such as when criminal hackers hobbled the city of Atlanta back in March, crippling many basic services for days and keeping up to 30 percent of the city’s computer systems offline thru June – costing more than an estimated $11 million to fix, according to a news story. Pence added that cyber attackers are targeting the transportation elements serving the U.S. economy as well. “A single Russian malware attack last year cost a major American shipping company roughly $400 million,” he said in his speech. As a result, Pence noted that the formation of new cyber-focused government agencies – such as the Cybersecurity and Infrastructure Security Agency and National Risk Management Center, both housed within DHS – along with more collaboration with private sector groups will be needed, especially as the costs of cyberattacks continues to grow. Transportation-focused groups also recognize the need is increasing for broader collaboration to face down the growing danger of cyberattacks.